Dylan Gleason first picked up a guitar at the age of 7 and has been making music a vital part of his life ever since. He developed a passion for music when he first discovered The Beatles and has since explored music and found inspiration in a wide range of influences from indie artists such as Radiohead, The Strokes, and The Pixies, to jazz composers Charles Mingus, Thelonious Monk, Django Reinhardt, and every style in between. 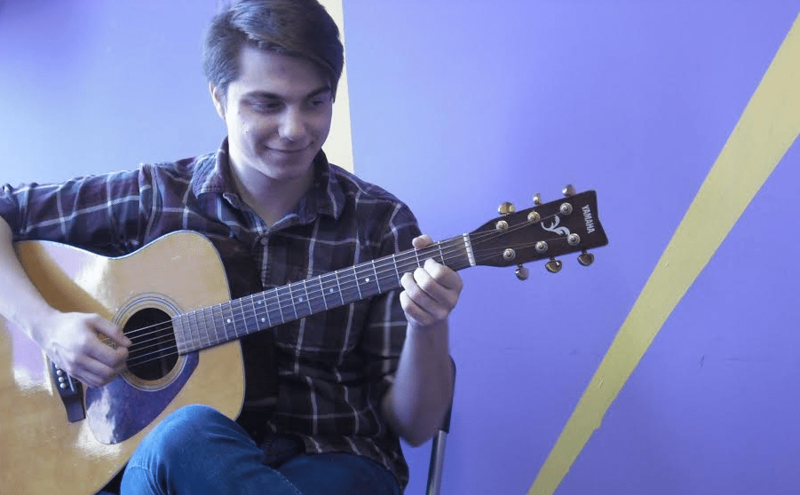 He began studying music under Loren Fortna and has since been granted the opportunity to learn music from the perspectives of teachers Danny Roselle, Aaron Cloutier, and Joao Rezende-Lopez. Through this range of teachers he not only gained experience in performance and technique, but was also driven by his fascination in music theory to dive deeper and explore music on an intellectual level. This diversity of instruction also opened him up to a wide range of musical perspectives such as classical, classic rock, metal and jazz. He is primarily a guitarist but is also proficient in piano, bass, drums, ukulele and other folk instruments. He studied and performed for over 4 years at the School of Rock in Chatham and taught at that school for over 2 years. At the school he not only engaged in one-on-one lessons with his students, but also directed classes of young students in full band rock jams. He also had the privilege of teaching with John Brophy at the InTune music school in Maplewood New Jersey. He has been performing in various bands throughout the past 4 years and has experience performing material ranging anywhere from rock covers, to jazz jams. He is currently a student at Hunter College in Manhattan studying classical guitar performance. He aspires to continue to pursue and learn about his passion, and is eager to pass on the knowledge and experience he has acquired over the past 12 years to young musicians, and hopes to open them up to the vast world of music.